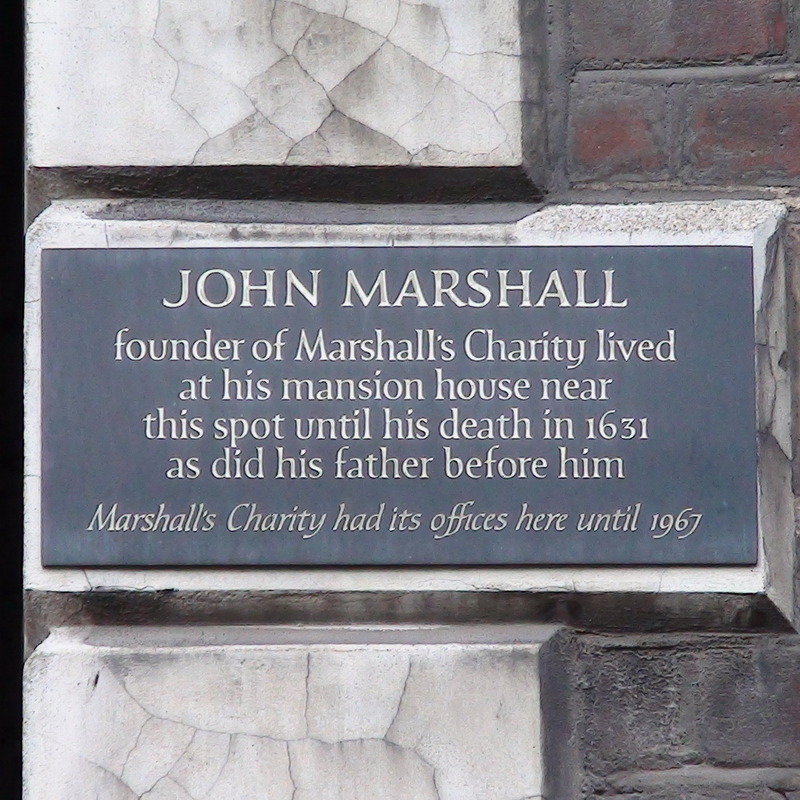 John Marshall, founder of Marshall's Charity, lived at his mansion house near this spot until his death in 1631, as did his father before him. 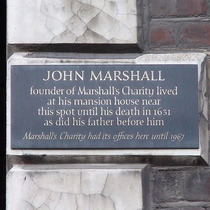 Marshall's Charity had its offices here until 1967. This building was erected in 1853. We had this entry in our puzzle corner for a while because of the Fs and O in the Roman numerals but Peter Kidd of manuscripts.org.uk confirms our interpretation that, in late-medieval script, these read as Xs and V so the date translates as 1627, the year John Marshall's will was written. Strond is an old spelling of 'strand' meaning a beach.